When ever I have soup and pasta or heck just a drive by craving for some garlic bread the first thing I think is the yummy frozen garlic bread that just gets popped in the oven, it's so easy right!?!? Well this one is just as easy! I had enough when one day I developed a homemade tomato soup and HAD to have some garlicky cheesy goodness to dip into it! Give this a try and PLEASE whatever you do DO NOT turn your nose up just because of the ingredients because if you do it is your loss! Here is the deal most people hate cottage cheese it gets a terrible wrap for its texture issues however throw into a food processor and add a few goodies and it is a creamy delicious spread that is high in protien and also super satisfying! I use the very same technique in my favorite easy lasagna which is a HUGE hit with the ladies in my challenge group working on getting fit. They can not believe that it tastes so amazing and is that easy to put together! Not to mention it is 100% on plan to help them achieve their fitness goals. 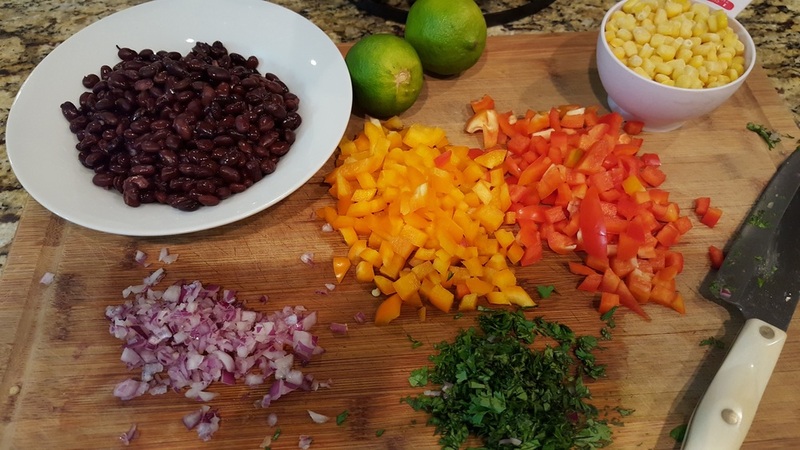 I created this blog to show you that it is not only possible but easy to create family friendly, crave-able foods that you can enjoy while meeting your fitness goals! Remove crispy tortillas from oven, spread 1/2 the filling on each one and sprinkle with mozzarella cheese. Optional garnish with a bit more oregano. Place back into oven until the cheese is melted- Sometimes I'll place the oven on broil for 30 seconds to get the browned bubbly cheesy goodness going! ENJOY and share with a friend! I love broccoli salad, the traditional version has so much is full of calories, I wanted to come up with a healthier version...so I did. I do use mayo in mine which I know is not technically 21 day fix approved, however, I use Dukes mayo because it is the ONLY one I can find that does not have sugar in it! every other mayo I have see uses sugar. This particular recipe on calls for 3 tablespoon for the entire recipe. I am counting it as part of the fat for a dressing where you would normally use olive oil. This recipe is a very good light dinner or makes a great side! It is filling and delicious with a tangy lime dressing to round out the dish. 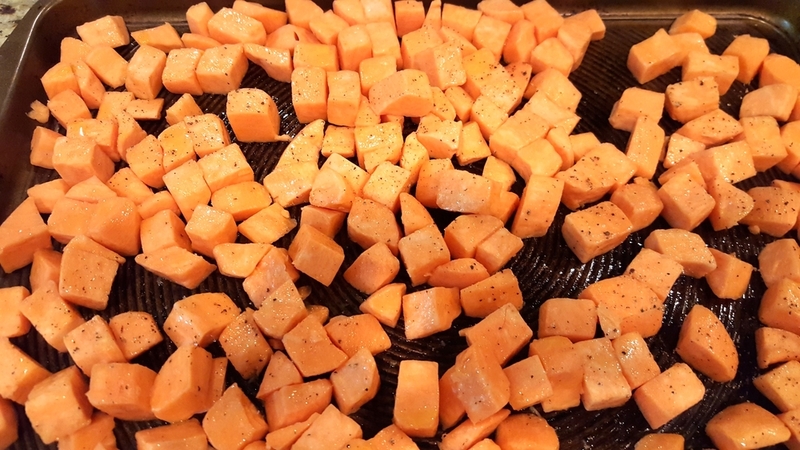 Roast the sweet potatoes with salt, pepper and Mrs. dash southwestern seasoning. While they roast, chop the veggies and make the dressing. Toss the sweet potatoes, veggies, beans and corn together with the dressing and serve! This salad can be served hot, room temperature or cold, great option for a BBQ. Once sweet potatoes are done toss them into the bowl with the other veggies and coat with the dressing, add salt and pepper to taste. This salad is very good and can be made spicy or mild depending on your preference. It is great as leftovers too! This would be a wonderful side to some southwestern grilled chicken.